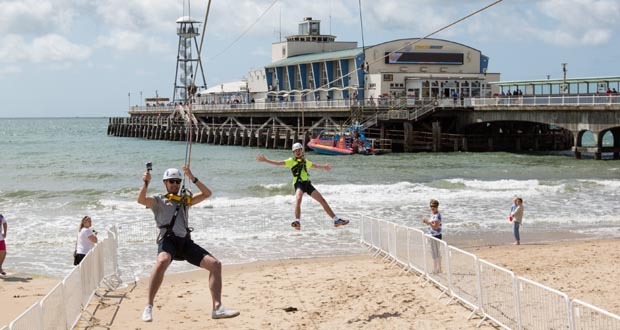 The Bournemouth Zip Wire ‘PierZip’ is the world’s first pier to shore zip line allowing you to soar over the sea and down to the beach. The launch tower stands at the end of Bournemouth Pier at a height of 60ft (approx 18 metres), towering over the sea below. From here you take a leap of faith and step off to experience an exhilarating 820ft (250 metres) ‘zip surf’ over the waves! 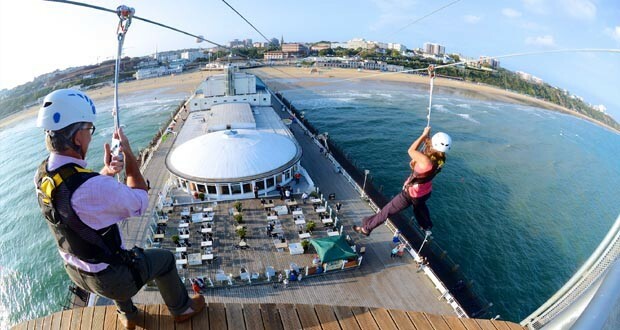 Plus the Bournemouth Zip Wire is dual line meaning you can ‘race’ friends! The PierZip is operated by RockReef, the indoor adventure activity attraction, which can be found on the pier in the old pier theatre building. 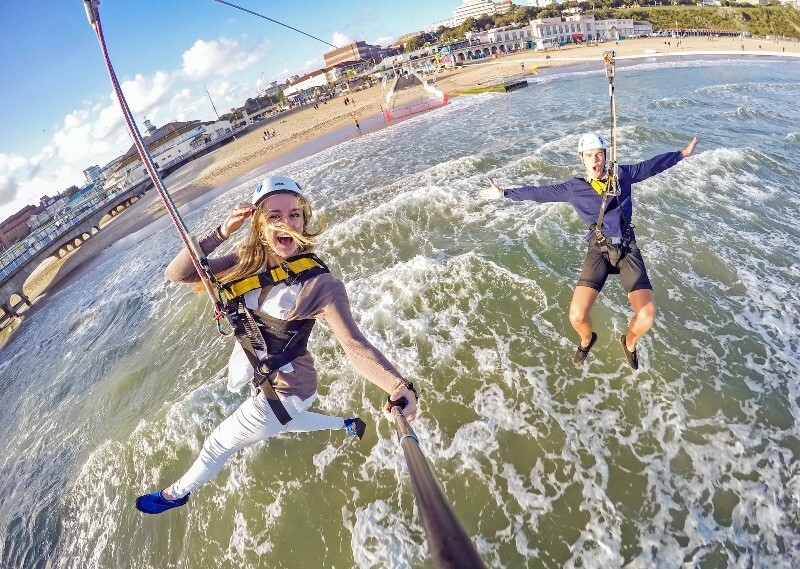 The PierZip costs £15 for a single ride, £26 for a dual ride (two persons) during the winter (October – March) and £18 for a single ride, £32 for a dual ride during the summer (April – September). Prices are correct at time of going to press and are subject to change without notification. You can book online via their website. The zip wire can operate in a range of conditions however very bad weather, especially high winds or very heavy rain, could result in the Zip line being closed for safety reasons. 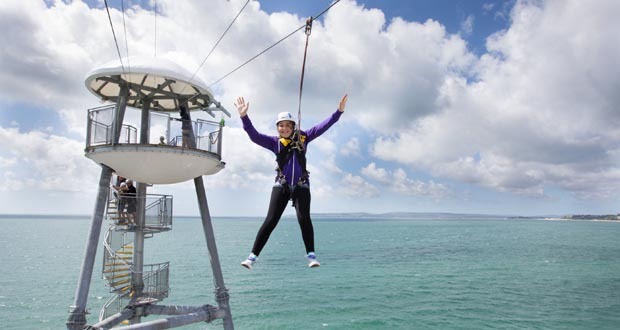 The operaters RockReef will update their Facebook and Twitter pages if the zip wire is closed due to weather, you are advised to check online prior to your visit. They will also try to notify you as soon as possible. In the event of closure your ride will be rescheduled to another suitable date of your choice. Minimum age 6 years, minimum height 1.3 metres, minimum weight 30kgs.